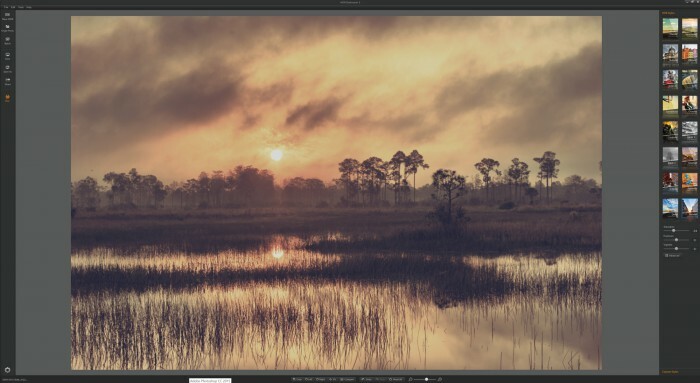 March 2019 Update – Review of the Top 20 Best HDR Software used for creating high dynamic range (HDR) photographs. There is 20 HDR Software listed below. All software is listed in the order in which I recommend from my own experience. I highly suggest you download any software and try it yourself. 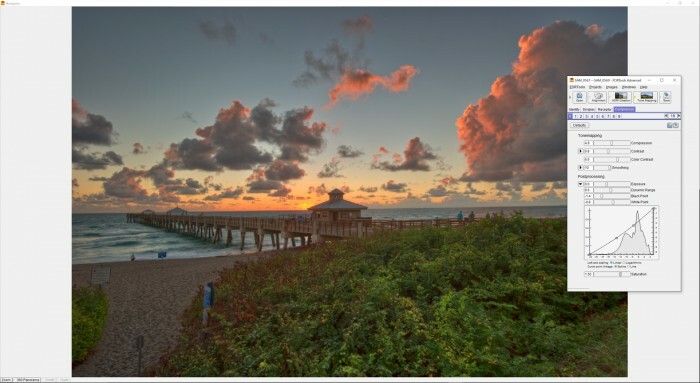 When it comes to HDR I have a specific workflow and look but that doesn’t mean my workflow and look will work for you. This is a work in progress if you have any HDR software to add please let me know. Aurora 2019 is the newest HDR software on this list. I highly recommend this software for beginners and advance user as it is very easy to use and has lots of settings for editing. I highly recommend this software but I think it requires a little more tinkering to get the colors right. It doesn’t have as many options as Aurora but the way it renders the final image is what I love about this program. 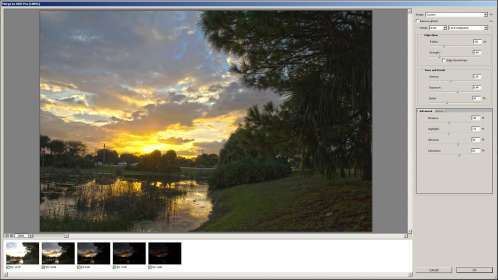 I’ve been using Photomatix from the beginning of my photography career over 10 years ago! This program has lots of tone mapping options. For Mac users it might be a little hard to get the result perfect because the screen doesn’t produce the same result as the final image. For those looking for a simple solution to HDR photos in Lightroom. Adobe Lightroom Classic CC has the HDR feature built right in. The HDR solution in Lightroom Classic is super basic with only three options. But results can be very realistic and pleasing. However, the dynamic range that you get doesn’t compare to any of the first three programs mentioned. 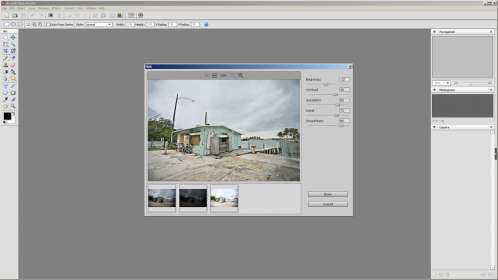 HDR Projects 4 is a more recent HDR software that has some interesting features. Available for both MAC and Windows computers it is simple and easy to get started working with HDR images. The Lightroom Plugin that comes with it is a plus for any photographer who uses Lightroom in their workflow. I was able to export from Lightroom to HDR Projects 4 without any problems and the results were very good. The presets that it comes along with aren’t the most impressive. There are a lot of options and controls for adjustments however I found it painful to use on my 4K UHD monitor because the interface was very small. I ended up using just the presets more and make limited adjustments to the settings. 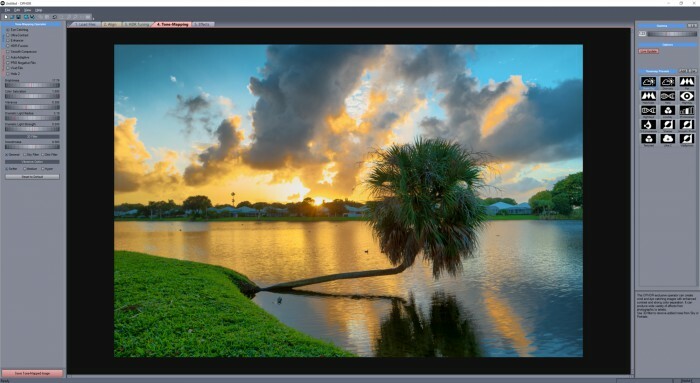 Overall I feel this HDR program has a lot of potential and worth checking out. 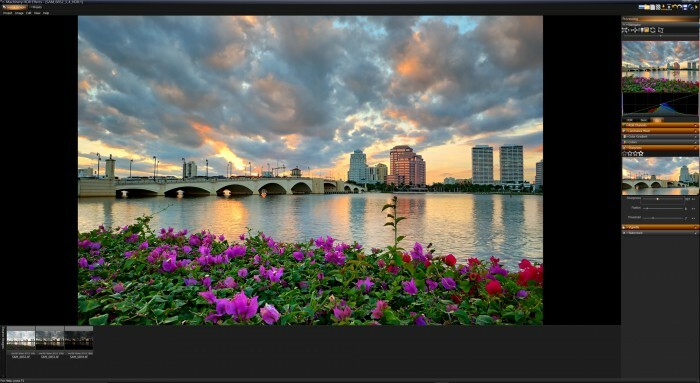 The results are beautiful if you’re looking for natural HDR photographs. 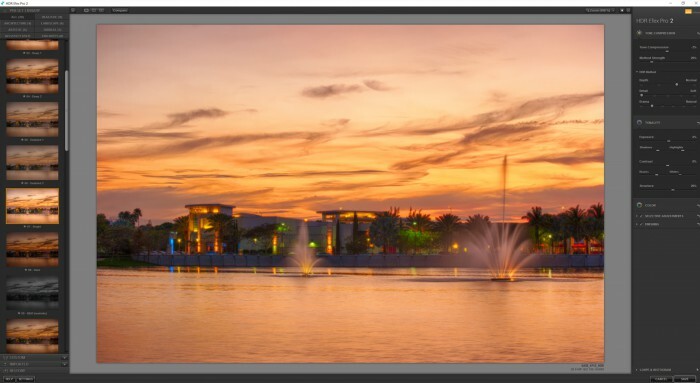 Another easy to install HDR program with plenty of features and settings. I loaded my first set of 5 exposures from and it handles it and produced a very clean image. At first, I thought there was no drag and drop feature but after playing around I manage to drag and drop my exposure into the small menu on the top right side. So I’m happy about that. This HDR software is packed full of feature, I not even gonna attempt to list them all. This is one program I highly recommend doing a demo download. SNS-HDR is the other HDR program that I use. This is the HDR program I use for a more realistic result. 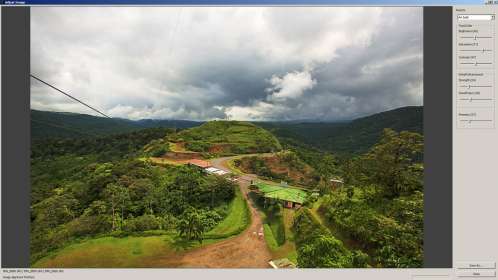 This HDR software produces natural looking HDR images. Also I like it because it produces a unique look. I can’t really explain it you’ll have to look at the samples or better yet download it and try it yourself. 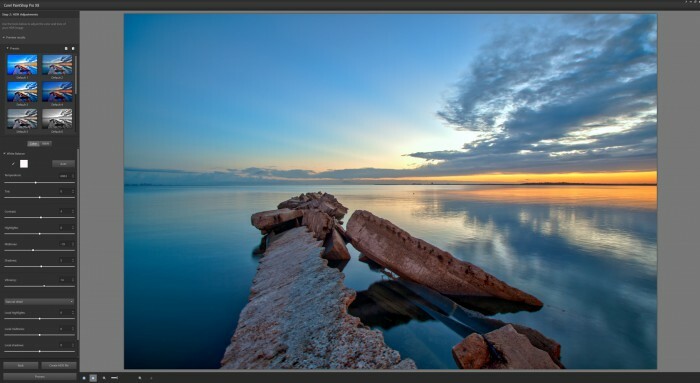 This program is not recommended for the extreme HDR look but perfect for subtle results. Installation of this program is pretty straightforward. The program itself is very easy to use. The only problem I have is that it takes a few minutes to get to the tone mapping part especially when processing 5 or more RAW exposures. The installation of this HDR program went nice and smooth. Upon launching the application I was fascinated with the interface. I threw my initial 5 exposure RAW files at it and it handle it nicely. I had to sit there for a few seconds to figure out how to use it but I realized it was easier than it looks. I am very impressed with this program it has a lot of potential. It produces very nice looking HDR images. It has presets. Looks like this program is more for realistic HDR images. Boosting the settings for a more surreal look only can be very interesting but it doesn’t have the punch that I’m use to. But that’s just my flavor. Installation went smooth, interface is clean and polished. Preview window is a little small. Alignment feature is a bit tricky to understand but the option is there for fine tuning. Process with first batch of example image came out very horrid. I am thinking it does not like the RAW files I am using. Also first example exposure has a total of 5 images. I loaded only three instead 0ev,-2ev and +2ev which seems to work better. There is a problem in the shadows where there is a lot of grain instead of fill color. So to try and resolve this issue I converted the 3 RAW files into a JPG file and reprocessed the image. Converting the file to JPG really helped out a lot! The second example image seems to work fine with alignment. However being that it’s a RAW file I was getting a lot of noise in the shadow areas. Again I converted the RAW into a JPG and image came out fine. Another easy program to install and use. Loading the exposures require you having to browse for the image so there is no drag and drop feature like most of the other HDR programs. I loaded the initial 5 exposures which went well. there is an option to align and deghost the image so that’s always a plus. There are three options for tone mapping which is a good variety. I notice something unusual in the highlights which appears to be a magenta cast. This could be due to the RAW files being used so I processed the image again using JPG and the magenta cast seem to have gone away. It definitely handles JPG better than RAW. So far this one took the longest to install, which means it’s going to be jam pack full of features! After installing the program I find out that it doesn’t have a drag and drop feature like HDR Darkroom… bummer. After some fiddling around I created my first HDR image and somehow manage to crash the program. Second try was a success and I manage to get to the tone mapping window. My first thoughts after scrolling through the list of presets is that this program was designed for natural looking HDR. Any attempt to overcook resulted in a realistic overcooked image. HDR Expose does have an option to align and remove ghosting which is good. It seems to handle RAW files very well. I played around with JPG instead of RAW to see if there was any difference and the results were pretty much the same. This software comes bundled with the entire Nik Collection which is actually a good deal for the price. The HDR software option with this program can be basic but the results can be great if you like the intense HDR look. For a free program it was very easy to install. 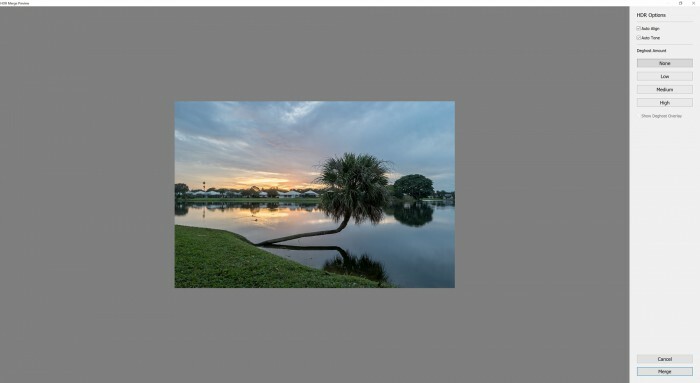 After installing I load the 5 exposure RAW file from the first example. It took some time to process which is understandable. It was able to handle RAW files better than some of the other paid for programs. I also like the results from the image as well. The initial controls are a little awkward but should be easy enough after some getting use to. For some one looking for something free to play around with this program produces some nice looking natural HDR images. It is a little slow but the results are worth it for the price. Also if you use the auto align feature it’s going to make it even slower. My favorite part about this program is that there is a drag and drop feature. Give this program a try it can’t hurt it’s free! Of course donate if you end up using it in your HDR workflow. Corel is a well known software company that has produce great software like VideoStudio, Painter and WordPerfect. I was pretty excited to see what kind of HDR program they were able to incorporate into their photo editing software PaintShop Pro. Yes this is a full photo editing program not just a software for creating HDR images which is actually good and bad at the same time. Installation was a breeze however don’t click too fast on the trial version because it has one of those add browser toolbars that get installed by default. Those are so annoying. After installation I found it a little overwhelming because the software is trying to everything. After a few minutes I was able to get the first 5 exposure merged and I was impressed. The results are very natural and has the ability to produce some nice colors. But that is as far as I can say about the HDR feature. If you go too crazy with the options the results don’t look good. I think this is a great program worth trying out. 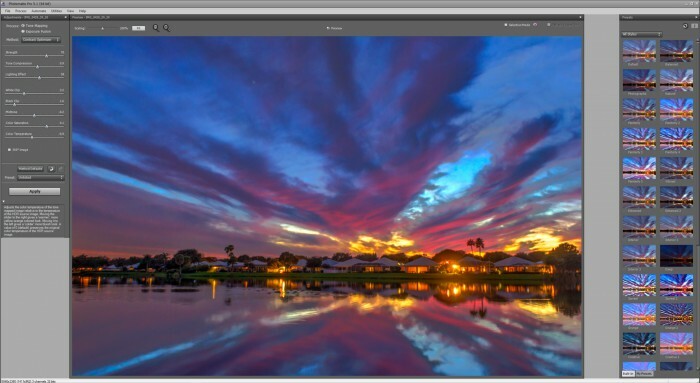 The HDR software is free so you have nothing to lose but time. If you don’t want to waste time I won’t recommend using it since I personally feel that the dynamic range results achieved is comparable to a single RAW. Of course I could be doing something wrong. Picturenaut is a free HDR program and it was one of the first HDR software that I use back in 2008. This is a very easy program to use and install. However getting the results you want might be a bit of a challenge for the newbie. While processing my first batch of five RAW exposure it seem to handle it well. But there was a slight color cast to the overall image. I was able to adjust that somewhat using the setting. Picturenaut crashed twice while I was using it but I think it was due to me going too fast for it to handle. I think this is a great program worth trying out. The HDR software is free so you have nothing to lose but time. If you don’t want to waste time I won’t recommend using it since I personally feel that the dynamic range results achieved is comparable to a single RAW. Of course I could be doing something wrong. One of the first free HDR programs that I thought was pretty cool. There is now a small price for the program but I think it’s worth it. The program can handle RAW exposures pretty well. There two tone mapping options available, both seem to produce very good results. This HDR program is somewhat limited but has enough to produce some decent HDR photos. Not a bad program.It might take some time to learn the settings to produce some high impact HDR images but I think it’s worth downloading and giving it a try. This program has greatly improved since the last time I played around with it. Still it’s a little awkward to use compared to the other HDR programs but it creates very nice looking HDR images. I had doubt at first that it would open my first batch of 5 RAW files but it didn’t have a problem. I didn’t see and alignment tool or ghosting but I ran through this program really fast. Not a bad program.It might take some time to learn the settings to produce some high impact HDR images but I think it’s worth downloading and giving it a try. This photo editing software comes bundled with most Canon Digital Cameras. It has an HDR feature built in but you will need the latest version. 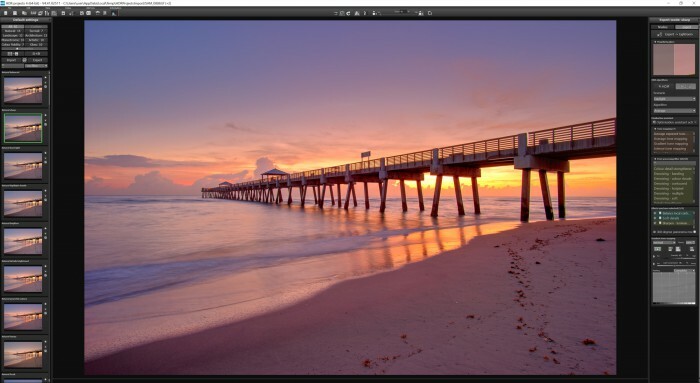 This program is very limited for HDR but it gets the job done. 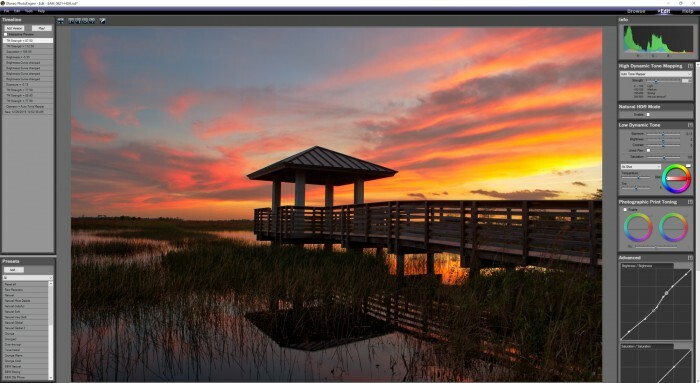 It’s great for a beginners who owns a Canon Digital Camera looking to produce HDR images right away. 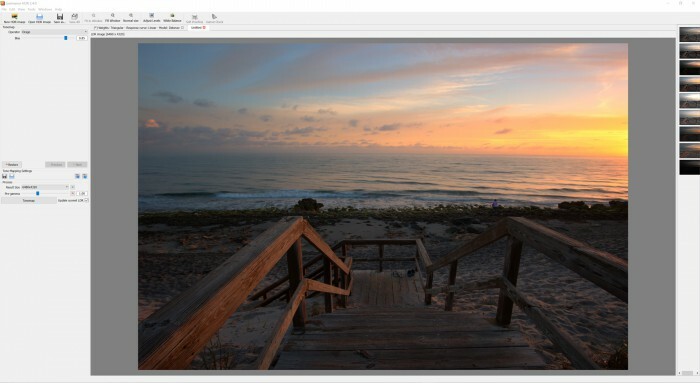 Note you will only be able to load 3 exposures with this program for creating HDR images. Program is very basic not too many options for fine tuning HDR photos. 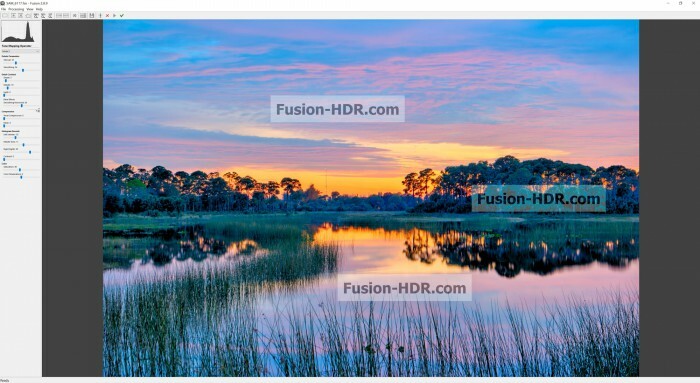 If you are really into natural HDR images this one would be a great place to start off. Especially if you don’t want to pay extra for more software. However I highly recommend getting a software with more features if you become more serious about HDR photography. 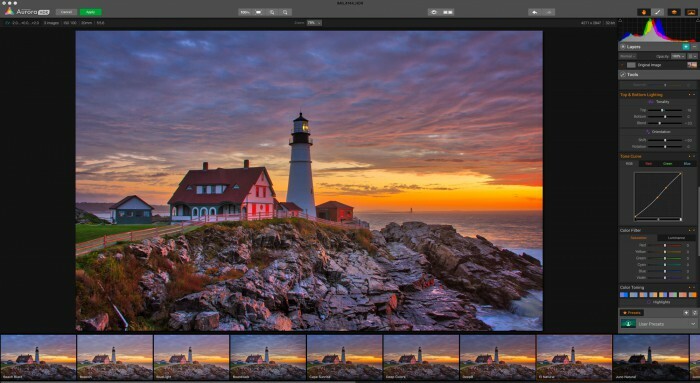 Adobe is also a very well software company and Photoshop is also a complete photo editing program which includes a option to create an HDR image from multiple exposures. It’s pretty amazing how advance Photoshop is when it comes to photo editing. However I can’t say the same for it’s HDR feature. The HDR option in Photoshop is probably the most basic of all the HDR software. The result from the Photoshop HDR feature are also very flat. Attempts to produce anything worth showing is very difficult. Personally you are better off blending the exposures together using Layers. I don’t recommend Photoshop for HDR at all! But if you’re going to use Photoshop as a photo editing program it’s the best out there. PhotoStudio is another photo editing program with a HDR feature. The software is made by ArcSoft, not as well known as Adobe or Corel but it does produce some pretty useful programs, like Media Converter which is a pretty cool program if you need something to converter media files. But lets get back to their HDR feature in their photo editing software. It’s pretty much useless, it’s just as bad as the one in Photoshop only with even less controls. 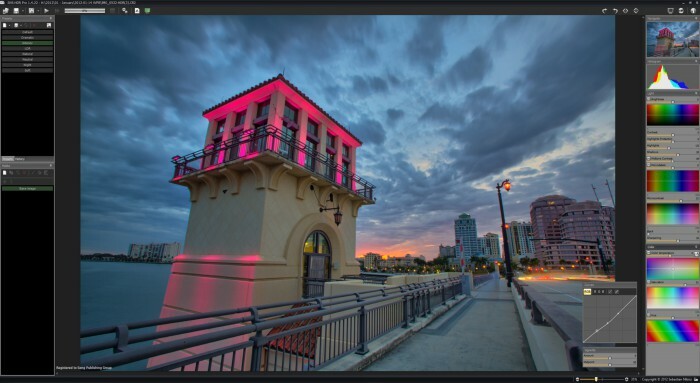 Captain Kimo is a commercial photographer specializing in real estate, architecture and cityscapes. He utilizes HDR photography techniques to get the most dynamic range from his exposures. He uses the top three HDR Software listed on a daily basis. All three produce different looks and are used for different porpuses. 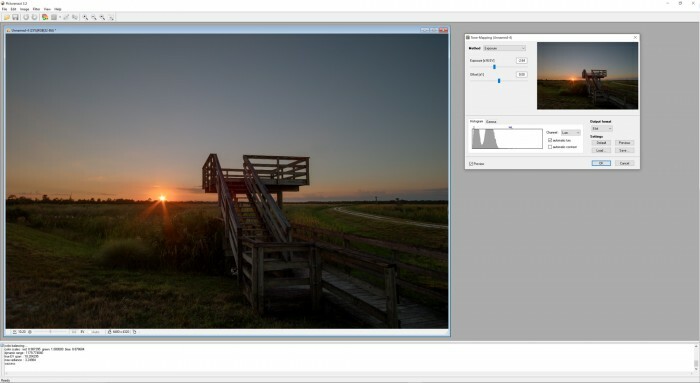 I recommend to check out the SNS-HDR Pro. Actually I wasn’t even aware that Paint Shop had an HDR feature. I’ll have to take a look at it when I have some time. Thanks for letting me know. Many thanks for the valuable information!!! 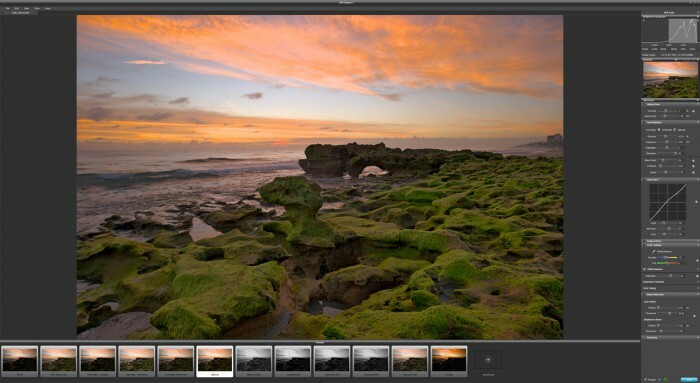 Do you have any experience with the built-in HDR features in some of the photo editing packages. 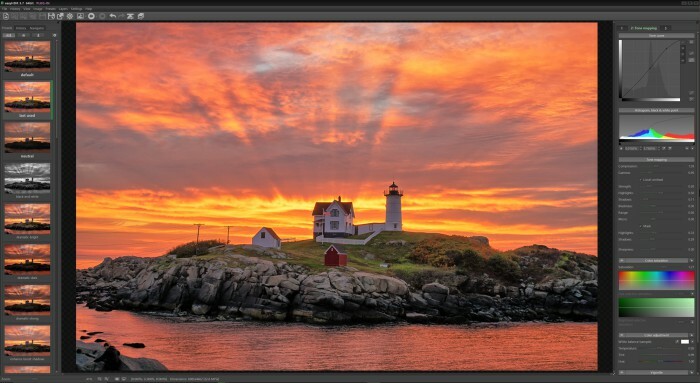 For instance, Paint Shop Photo Pro X3 has a built in HDR function. It is limited in flexibility, but I was wondering how it compared to some of the above packages that also have some limitations. I plan on looking at it when I get back home form my trip. I believe one of the representatives from that company was suppose to give me an overview of the software. Extremely helpful review, thanks. I just bought the Photomatix… great fun. Nice review. Can any of these apps get rid of halos? And can you tell me which of these products has batch processing? Thanks so much. Also which one of these is optimized for 64 bit or even 32? No problem… I’m looking forward to writing a review on each and working more with each HDR program. Great review, thanks for taking the time to put this together. Great job!! !